TMJ (or TMJD) stands for temporal-mandibular joint dysfunction. It is a common but rarely talked about condition involving the joint of the jaw. It can make eating, talking, and opening the mouth very difficult and painful. TJMD can occur for several reasons. Some notice pain early in the morning due to grinding their teeth at night. Often, dentists recommend night guards for their patients experiencing this grinding. However, night guards don’t address the root problem: fascial restrictions. Also, while night guards do have benefits, they can also inhibit the self-healing effects of movement the body does during the night. pulls the disc forwards. This disc is wider posteriorly (in the back) than anteriorly. This makes it easier for the disc to move forwards than backward. Working inside the mouth to release restrictions in the lateral pterygoid is essential for healing. 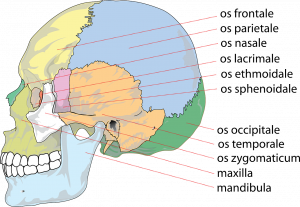 The lateral pterygoid pulls the disc forwards, and releasing tension in this muscle is necessary to help move the disc back into the proper position. Stress and emotions can also contribute to tension in the jaw. We often tighten our jaw when we get angry or suppress emotions. If we can’t feel these emotions, the tension in our jaws can stick. People often report emotions coming up when the pterygoid and jaw muscles release. These releases can help resolve the tension in the jaw and restore the jaw back to proper function. Finally, the rest of the body often contributes to the tension in the jaw. Especially the sacrum (tailbone) and upper cervicals (neck). If you have weakness or postural restrictions in your body, your neck and jaw will try to correct in order to keep you upright. That’s why addressing the full body is essential for permanent recovery of the temporal mandibular joint.